Swim better—and enjoy every lap—with Total Immersion, a guide to improving your swimming from an expert with more than thirty years of experience in the water. 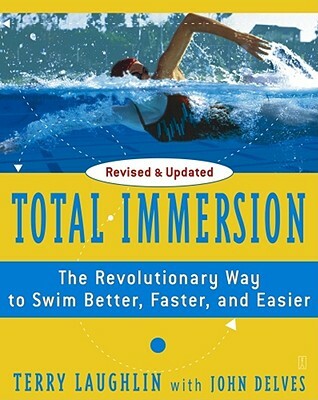 Based on more than thirty years of teaching, coaching, and research, Total Immersion has dramatically improved the physical and mental experience of swimming for thousands of people of all ages and abilities. Eddie Reese 1992, 1996, 2000, and 2004 United States Olympic Coach and Head Coach, University of Texas (six-time NCAA champions) The most valuable service a good coach provides is to sharpen your technique, not make you work harder. Terry Laughlin has done an outstanding job of simplifying that complex job, providing practical tools that will work for any coach or teacher. David Marsh 1996, 2000, and 2004 United States Olympic Coach and Head Coach, Auburn University (2003 NCAA Men's and Women's champions) Total Immersion can help anyone learn to be a better swimmer, regardless of ability. Terry Laughlin makes an improved stroke simple for the novice, yet I've seen his methods work for elite swimmers, too.